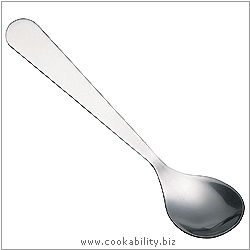 Mustard spoon in the traditional, classic design, made from stainless steel. Small head approx 1.75cm sq. even though dishwasher safe may fall through the cutlery tray.